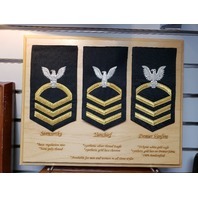 New item in original packaging. 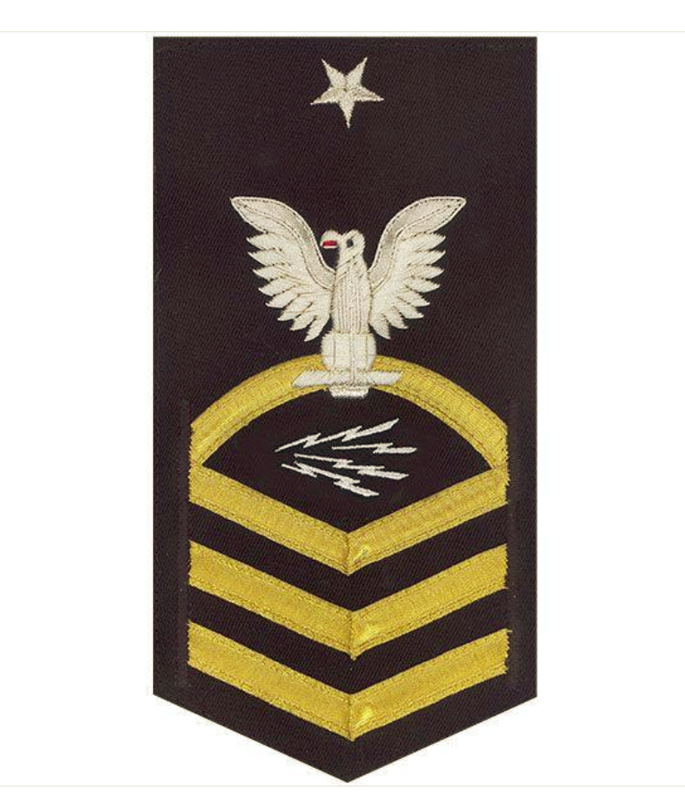 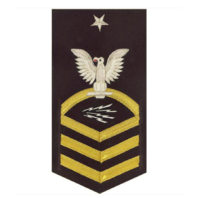 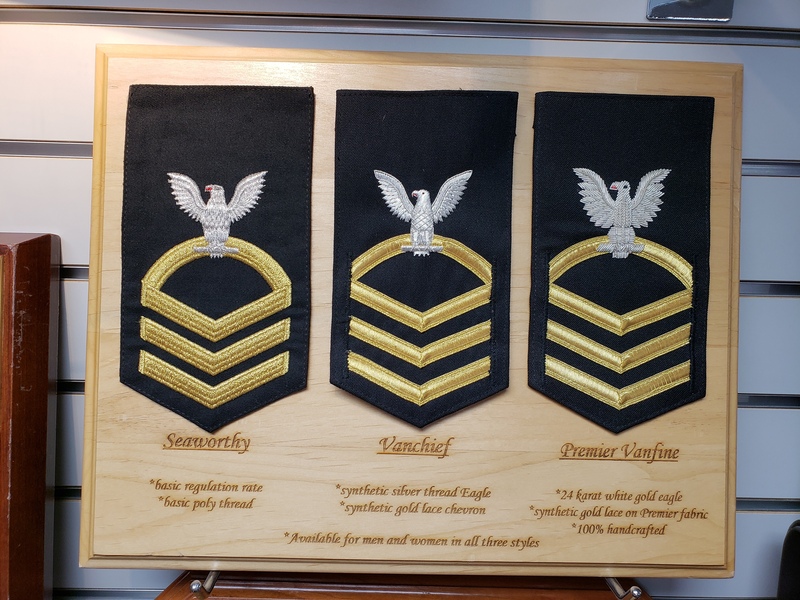 Navy rating badge E-8 Vanchief silver eagle with gold lace chevrons on blue it information technician special (same (AS) rm) - individually priced. Please allow 2-4 weeks for delivery.